NEW for 2019! All departures are small group departures limited to 24 guests. Past, present and future blend into an unforgettable 14-day small group journey in a tropical paradise, steeped in culture and nature as you stroll through gardens of tomorrow in Singapore, explore ancient kingdoms in Java,... Read MoreNEW for 2019! All departures are small group departures limited to 24 guests. Past, present and future blend into an unforgettable 14-day small group journey in a tropical paradise, steeped in culture and nature as you stroll through gardens of tomorrow in Singapore, explore ancient kingdoms in Java, visit flower-filled temples on Bali, and see dragons of yore on timeless Komodo Islands. Unique experiences include a sunrise visit to Borobudor, a UNESCO World Heritage Site; an evening visit with a ballet performance at Prambanan, a UNESCO World Heritage Site; a chef-led cooking class on Bali; private boat rides to the Komodo Islands to see Komodo Dragons; Sundowner kite flying; a Balinese dance and more. In Singapore, enjoy three nights at a luxury hotel with guided city sightseeing of landmark sites and a visit to the ecologically advanced Gardens by the Bay... On Java, stays at Borobudur and Yogyakarata include visits to a sultan's palace; Borobudur, the world's largest Buddhist temple; a rural village; and a ballet performance at Prambanan. Highlights of Bali include a monkey forest, village traditions, temple blessings, a cooking class and a choice of a rice field hike or a factory visit during a three-night stay at a luxury riverside resort in Bali's cultural heart. Two days of exploration on the Komodo Islands feature private boat rides, Komodo Dragon sightings, snorkeling, diving and beachfront dining... and at Jimbaran Bay, Bali, seaside delights during a two-night stay at a luxury resort include kite flying, Balinese dance, a temple visit and farewell festivities. You'll stay at luxury hotels and resorts... enjoy a three-night stays at luxury hotels in Singapore and Ubud... two nights at Amanjiwo resort in Java with spectacular views over Borobudur... an overnight stay at a historic century-old colonial landmark hotel in Yogyakarta... two nights at a beachfront resort adjacent to Komodo National Park... and two nights at a Four Seasons resort in Bali's tropical Jimbaran Bay. A melting pot of religion and cultures, from Buddhism to Catholicism, the Dutch to the Chinese and the British, explore the colonial heritage of the region. Explore the bustling streets of Chinatown and Little India in Singapore and Malacca's Dutch Square in Malaysia. What’s the best way to see one of the world’s great melting pots? A Monograms vacation, of course! With Monograms, seeing Singapore is simple, not stressful. We coordinate hotel accommodations, daily breakfast, and private guided sightseeing for you so that your 4-day escape gives you the best bang... Read MoreWhat’s the best way to see one of the world’s great melting pots? A Monograms vacation, of course! With Monograms, seeing Singapore is simple, not stressful. We coordinate hotel accommodations, daily breakfast, and private guided sightseeing for you so that your 4-day escape gives you the best bang for your buck. Plus, we provide you with a Local Host®—someone to ensure that you don’t miss Singapore’s must-see sights. Bliss out on world-class beaches and explore lush Khao Sok in southern Thailand before cooling off in the Cameron Highlands of Malaysia. This two-week tour will introduce you to three diverse nations — and three of the region’s most vibrant cities. Sample street food or hit Bangkok’s clubs with... Read MoreBliss out on world-class beaches and explore lush Khao Sok in southern Thailand before cooling off in the Cameron Highlands of Malaysia. This two-week tour will introduce you to three diverse nations — and three of the region’s most vibrant cities. Sample street food or hit Bangkok’s clubs with other travellers your own age — so you can be sure to get down with those that’ll keep up. With your hotel and transport arranged by our Chief Experience Officers (CEOs), you can concentrate on choosing your own adventure: pack your trip with everything you want and nothing you don't. Feast on a Nyonya delicacy in Melaka or delicious street food in Singapore as you hit the highlights of Southeast Asia. With other travellers your own age, you’ll enjoy this adventure’s pace, exploring the hilltribes of northern Thailand before mellowing out on the white-sand beaches of the exotic... Read MoreFeast on a Nyonya delicacy in Melaka or delicious street food in Singapore as you hit the highlights of Southeast Asia. With other travellers your own age, you’ll enjoy this adventure’s pace, exploring the hilltribes of northern Thailand before mellowing out on the white-sand beaches of the exotic south. With your accommodation and transport arranged by our expert CEO, you’ll enjoy the freedom of roaming where you want to and choosing your activities – cross into Malaysia to experience mouth-watering laksa while shopping in KL's night market or take high tea at Raffles and try the Singapore Sling. Foodies, you're in the right place. Munch has been created especially so you can eat your way around Asia, exploring and sampling all the best flavours it has to offer. From food markets to cooking classes to lunches in homestays, this trip will deliver authentic food adventures and local insights about... Read MoreFoodies, you're in the right place. Munch has been created especially so you can eat your way around Asia, exploring and sampling all the best flavours it has to offer. From food markets to cooking classes to lunches in homestays, this trip will deliver authentic food adventures and local insights about where to find the best of the best, and the freshest of the fresh. Whether you feel like a dash of spice or a dollop of something sweet, or both at the same time, there's something in here to suit every taste. Just how much mind-boggling can be packed into a 14-day holiday? Well we'll tell you. Our hot new adventure packs serious punch on a journey through Thailand and Malaysia. From slick cities of Singapore, Bangkok and Kuala Lumpur, to remote lush jungles, this trip is for those looking to strike that perfect... Read MoreJust how much mind-boggling can be packed into a 14-day holiday? Well we'll tell you. Our hot new adventure packs serious punch on a journey through Thailand and Malaysia. From slick cities of Singapore, Bangkok and Kuala Lumpur, to remote lush jungles, this trip is for those looking to strike that perfect balance between action, adventure and chill. To sum it up, scenery & cities collide! Are you joining us? 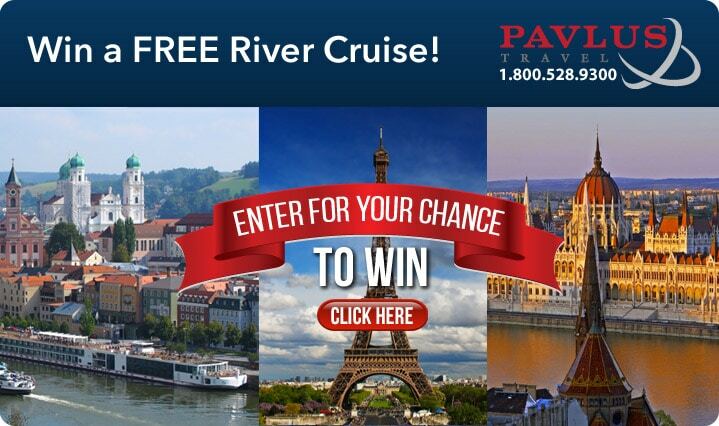 PAVLUS SPECIAL Guaranteed Lowest Prices for All Crystal River Cruises. Never Pay Brochure Prices. Click on Get Quote for Lowest Price. Discover Western Australia, from swimming with sea lions in Jurien Bay to snorkeling the UNESCO-designated Ningaloo Reef. By way of Christmas Island, venture into the Java Sea to explore Ujung Kulong's rainforests, blue lagoons and pristine beaches. From isles of crystal clear waters and shimmering white sands, to a fascinating cruise up the Chao Phraya River into the heart of Bangkok, Ho Chi Minh and Hue. Here is a voyage of startling contrast, beauty and iconic sites.